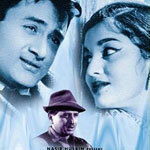 "Jab Pyar Kisi Se Hota Hai" is a 1961 hindi film which has Dev Anand, Asha Parekh, Pran, Raj Mehra, Mubarak, Sulochana, Ulhas Wasti, Rajendra Nath and Tahir Hussain in lead roles. We have 3 songs lyrics and 3 video songs of Jab Pyar Kisi Se Hota Hai. Shankar and Jaikishan have composed its music. Mohammad Rafi and Lata Mangeshkar have sung these songs while Hasrat Jaipuri has penned its lyrics.